I’m Fatigued, Is it ME/CFS? A Simplified Treatment Approach Based on the Glutathione Depletion-Methylation Cycle Block Pathogenesis Hypothesis for Chronic Fatigue Syndrome (CFS) by Rich Van Konynenburg, Ph.D.
Introduction. I first want to note that I am a researcher, not a clinician, and that what I have to say here should not be interpreted as medical advice. In January, 2007, in an effort to shed light on the validity of the Glutathione Depletion-Methylation Cycle Block (GD-MCB) Pathogenesis Hypothesis for Chronic Fatigue Syndrome (CFS), and to help clinicians to develop a practical treatment based on this Hypothesis, I suggested a simplified treatment approach. This approach is designed to lift the hypothesized methylation cycle block and to restore glutathione levels to normal. It was derived from a complete treatment program developed by Dr. Amy Yasko, N.D., Ph.D., for autism and other disorders that are also thought to involve methylation cycle block and glutathione depletion. A fairly large number of people with chronic fatigue syndrome (PWCs) have since voluntarily chosen to try this treatment approach, many with the help of their physicians. It now appears to be working well for many of these PWCs, but some serious adverse effects have also been reported in a few cases. Controlled testing of this treatment approach has not yet been done, but early results from these volunteers suggest that this would not only be worthwhile in view of indications of the efficacy of this approach, but also necessary to ensure its safe application. While in the past I have stated that PWCs should cooperate with their physicians in trying the simplified treatment approach, as a result of experiences with this treatment approach that have been reported to me recently, I have concluded that it must be entered upon only under the supervision of a licensed physician, to make sure that if there are individual issues that arise, they can be taken care of immediately. The treatment approach itself consists only of nonprescription nutritional supplements that are normally found naturally in the body and are necessary for normal biochemistry to take place. It would thus appear to be fairly benign on its surface. However, it is now clear to me that restarting the methylation cycle after it has been blocked for extended periods, particularly in those PWCs whose general health has become quite debilitated, or those who have certain respiratory, cardiac, endocrine or autoimmune conditions, can present some serious challenges and hazards. I suspect that there is still much more to be learned about possible adverse effects of applying this treatment approach among the very heterogeneous CFS population, and this work properly lies in the province of clinicians. I believe that I have now carried this work as far as a nonclinical researcher can appropriately carry it. I am hopeful that clinicians will apply and test this treatment approach in order to learn how it may be safely, effectively, and practically utilized to treat PWCs, and it appears that this is now beginning to occur. As some readers will probably be aware, I presented a poster paper describing the above-mentioned Hypothesis at the most recent IACFS conference in Florida last January. It can be found here. This Hypothesis has not yet been published in the peer-reviewed literature. My emphasis up to now has instead been upon addressing questions that remained to be answered before this Hypothesis could be considered for clinical testing and application in the form of a practical treatment approach. In 1999, I first learned from two public talks presented by Dr. Paul Cheney that many PWCs are depleted in glutathione, and that taking steps to build glutathione can be helpful to many. Dr. Derek Enlander has since reported to me that he began injecting glutathione as part of a complex into CFS patients as early as 1991. I also found that Dr. Patricia Salvato had reported in early 1998 on her use of intramuscular injection of glutathione in 276 patients. Over the years, quite a few CFS doctors have incorporated means of building glutathione into their protocols, either by administration of glutathione itself by various routes, or by oral supplementation with glutathione precursors, such as whey protein products. What is Glutathione, and What Does it do? Glutathione is technically a tripeptide, which can be thought of as being like a very small protein, as it is made up of only three amino acids (while proteins are made up of many more). It is present naturally in every cell of the body, as well as in the blood, the bile and the fluid lining the lungs. The liver is normally the main producer of glutathione in the body. 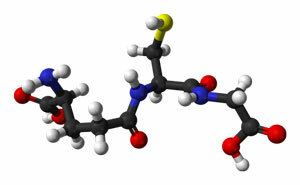 Glutathione plays many important roles in the body. Probably the best known are its protection against oxidative stress produced by oxidizing free radicals and other reactive oxygen species, its support for the immune system, and its role in removing a variety of toxic substances from the body. As I noted in that paper, while direct efforts to build glutathione are helpful to many PWCs, for most they provide only temporary improvement and do not result in permanent restoration of glutathione levels or a cure for CFS. I suspected that a vicious circle mechanism must be involved in holding down the glutathione levels in CFS. (Am J Clin Nutr. 2004 Dec;80(6):1611-7). The study they reported showed that glutathione is depleted also in autism, and that this depletion is associated with a block in what is known as the methylation cycle (or methionine cycle). The methylation cycle is part of the basic biochemistry of the body, and is believed to operate in every cell. This cycle includes the amino acid methionine as well as S-adenosylmethionine (SAMe, used as a supplement by some PWCs), S-adenosylhomocysteine, and homocysteine. Some homocysteine is converted back to methionine, thus completing the cycle. There are two parallel pathways from homocysteine to methionine. They are the methionine synthase pathway and the BHMT (betaine homocysteine methionine transferase) pathway. The methylation cycle is directly linked to the folate metabolism and to the transsulfuration pathway. The methylation cycle performs many vital roles in the body. First, by means of SAMe, it supplies methyl (CH3) groups to many different biochemical reactions. Some of them produce substances such as coenzyme Q-10 and carnitine, which have been found to be depleted in many PWCs. Methylation also plays an important role in “silencing” certain DNA to prevent its expression, and in producing myelin for the brain and nervous system. The methylation cycle also controls the body’s response to oxidative stress, by governing how much homocysteine is diverted into the transsulfuration pathway, which contributes to determining the rate of synthesis of glutathione. A third important role of the methylation cycle is to control the overall sulfur metabolism of the body. In this role, besides controlling glutathione synthesis, it exerts control over synthesis of several other important substances, including cysteine, taurine and sulfate. When the methylation cycle is blocked at the enzyme methionine synthase, these important roles are not carried out properly. In addition, a methylation cycle block necessarily causes a block in the folate metabolism, to which it is intimately linked, and this interferes with synthesis of new DNA and RNA, among other important effects. Two of the most significant effects of a methylation cycle block are that neither the immune system nor the detox system can operate properly. If the methylation cycle remains blocked for an extended period of time, infections and toxins can be expected to build up in the body. After I read the paper by S. Jill James and her coworkers (referred to above), I began to suspect that the genetic factors and biochemical mechanism they had found in autism are the same or similar to those important in CFS. A block earlier than glutathione in the sulfur metabolism, at the methylation cycle, could explain the persistent glutathione depletion in CFS. It began to dawn on me that other aspects of CFS that did not appear to be explained by glutathione depletion per se could be explained by a methylation cycle block. It was difficult for me initially to believe that there was a connection between autism and CFS, given the profoundly different symptoms and different affected population groups (primarily boys in autism, compared to primarily adult women in CFS). However, I knew of others who had publicly suggested such a connection in the past. (Dr. Michael Goldberg in the U.S. and Prof. Malcolm Hooper in the UK), and this new study seemed to provide more detailed evidence of this connection at the genetic and biochemical levels. I began to look into autism in more detail, and I attended the Long Beach conference of the Defeat Autism Now! (DAN!) project in October of 2005. 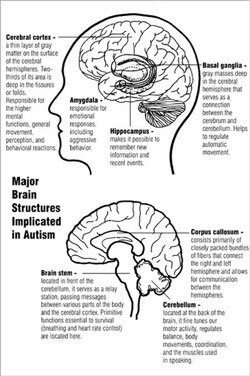 The more I learned about autism, the more I became convinced that are dealing in CFS with many of the same issues at the genetic and biochemical levels. The book by Drs. Jon Pangborn and Sidney Baker entitled “Autism: Effective Biomedical Treatments” (Autism Research Institute, September, 2005) provides excellent explanations of the biochemistry of autism, and the parallels with CFS can be seen there. (as well as Dr. Amy Yasko, though I had not yet learned of her work when I began to understand the importance of the methylation cycle block) had already been treating autism cases by measures intended to lift the methylation cycle block. What I did was to apply the results of their work to CFS, and to present a detailed biochemical and symptomological case to support the proposition that this model also applies to CFS. What is the Essence of the Glutathione Depletion-Methylation Cycle Block Hypothesis for the Pathogenesis of CFS? This hypothesis proposes first that in order to develop CFS, a person must have inherited genetic variations (also called SNPs or single-nucleotide polymorphisms) in a combination of certain genes that code for enzymes and other proteins associated with the methylation cycle and related pathways. The hypothesis further proposes that the person must also be subjected to some combination of a variety of long-term physical, chemical, biological or psychological/emotional stressors that lowers glutathione levels to the point that a block occurs in the enzyme methionine synthase in the methylation cycle, in response to the oxidative stress that is inherent in glutathione depletion. The formation of this block is aided by the presence of the inherited genetic polymorphisms. This lowering of glutathione levels also simultaneously removes the normal protection that glutathione provides to vitamin B12 and allows the accumulation in the body of toxins that can interfere with the utilization of vitamin B12, mercury perhaps being the dominant one. This hypothesis further proposes that the result of the above is that the level of methylcobalamin is held too low to support the methionine synthase reaction, and it therefore becomes chronically blocked. This produces a vicious circle mechanism that causes CFS to become a chronic condition. Finally, this hypothesis proposes that all the features of CFS can be shown to originate from this root cause. While I have not yet demonstrated this for every feature of CFS, the first paper cited in this article explains a large number of them in detail on this basis. Previous treatments for CFS have dealt with downstream issues in the pathogenesis, but they have not completely addressed this root cause, and, in my opinion, that is we have not seen many completely cured CFS cases up to now. Note that when I refer to cured cases, I do not mean that the genetic predisposition has been removed, but that that the PWCs are healthy from the symptomatic point of view. As I became more convinced of the parallels between autism and CFS, I began to point out this connection to some clinicians directly and to others via the internet, as well as to PWCs in internet groups, and I began encouraging them to consider the treatments that were being used by the Defeat Autism Now! project to treat autism, focusing on unblocking the methylation cycle. A small number of PWCs tried this approach, and while some initial benefits were observed from this, it did not seem to be an effective approach over the long term, at least in the way I was suggesting that it be applied. 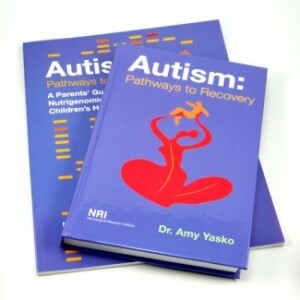 I then learned of the work of Dr. Amy Yasko, N.D., Ph.D. in autism. I studied her materials, including the book written by her and Dr. Garry Gordon entitled “The Puzzle of Autism,” joined her discussion forum and eventually attended her teaching seminar in Boston in October of 2006. After considering all of this, I concluded that it was likely that her treatment approach could help many PWCs, so I decided to emphasize it. An important feature of her work is her effort to tie the genetics of individuals to the biochemistry and to do tailored treatment based on genetics, again directed toward correcting the methylation cycle block, but also incorporating support for a variety of body systems and organs. I also learned that Dr. Yasko had had some experience in using her approach in cases of CFS as well as a variety of adult neurological disorders, but that she was currently focusing primarily on autism. I wrote a short article pointing out the connection I was seeing between autism and CFS and pointing to these treatments, and it was published in the October 2006 issue of the Townsend Letter. Quite a few PWCs acted on my suggestion to try Dr. Yasko’s full treatment approach, and they are currently continuing with it. 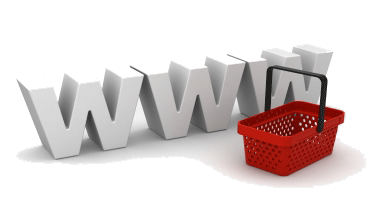 Many of them participate in the Yahoo cfs_yasko internet group, a group that was specifically formed for them. Most of them are currently in the first step of this treatment approach, and they are generally reporting that this treatment is producing considerable detoxification of their bodies, as monitored by urine testing. The full Yasko treatment approach involves detailed genetic and biochemical testing, and is rather expensive and complex. While some PWCs are in a position to pursue this treatment and appear to be doing so successfully, it seemed to me that there are many others for whom this approach is beyond reach, either for economic or cognitive reasons or both. Practicing physicians have generally also found this treatment to be somewhat cumbersome to incorporate into their practices because of the complexity and the considerable time and expense required to tailor the treatment to each individual patient. When I proposed this approach, I did not know what fraction of the PWC population would be able to tolerate the resulting die-off of pathogens and mobilization of toxins that would result from the consequent ramp-up of the immune system and the detox system after they had been dysfunctional for such long times during the long illness duration of many PWCs. As can be seen in the above-cited article, I was not very optimistic. However, I still thought it was worth a try, since the existing full Yasko approach did not seem to have the characteristics necessary for wide use in the CFS community, and it appeared that lifting the methylation cycle block was the key to recovery for many PWCs. With the help of a woman (name omitted to protect her privacy) who is currently receiving the full Yasko treatment herself, I selected a basic set of seven supplements from Dr. Yasko’s step 2, as discussed in the above-mentioned article. After this article was presented on the internet, another woman (name omitted to protect privacy) decided to try this simplified treatmentapproach. As a result of benefits that occurred almost immediately, she reported her experience on the ImmuneSupport.com CFS discussion board. In response to her reports, others began to try this approach. This began in February of 2007, and the number of people on this treatment has continued to grow, the longest duration of treatment now being somewhat more than four months, ranging down to some as short as a few days. As experience has been gained, I have shortened the initial list of seven supplements in the suggested simplified treatment approach to five, as described below. The cost of the basic five supplements is somewhat more that two dollars per day. The new Phoenix Rising Store is now open! When can we expect a cure? Do all gastroenterologists recognize SIBO? What Probiotic works for slow motility created by Keto Diet?